Are you dreaming of a green Christmas? One that celebrates plants and all the beauty of nature with a whole lot less waste? Now that’s my kind of holiday celebration! I’ve been crafting up all sorts of holiday goodies like bath bombs, soaps, tub teas, and so much more. I spend so much time making sure that they’re not filled with artificial fragrances and colors using only plant-based natural scents and adorning them with dried herbs and flower petals, and then when it comes time to wrap them up, what’s a girl to do? Head out to the garden, of course! 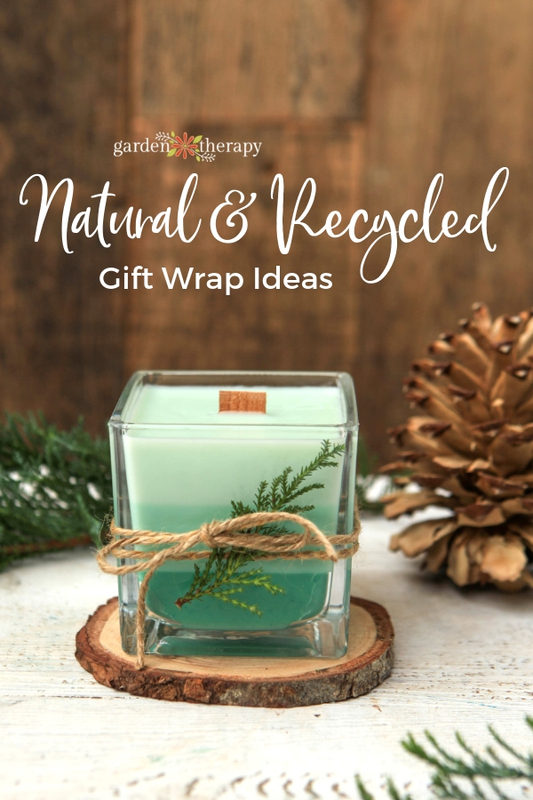 Here are some ideas for natural and recycled gift wrap ideas that will give you a green Christmas for your handmade holiday gifts. No matter the season, my go-to ribbon is jute twine. 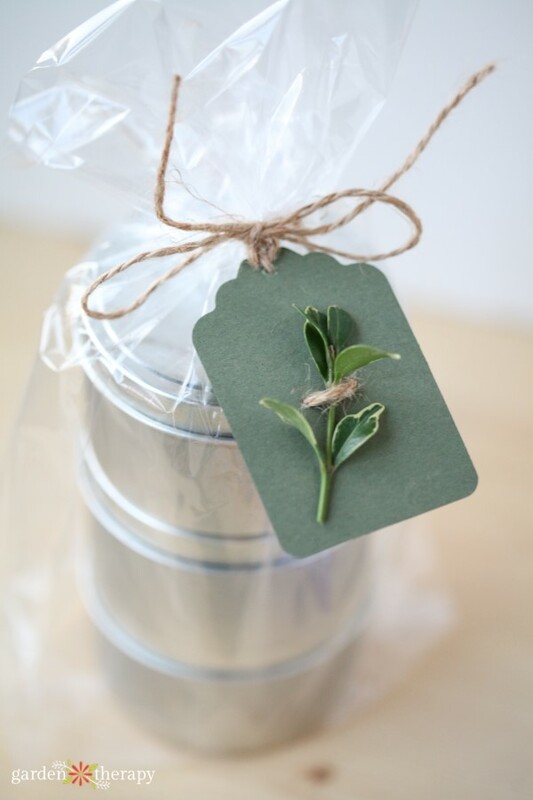 While it’s essential in the garden for tying up unruly vines or making wreaths, it works perfectly to tie gift tags on jars and boxes for gift giving. 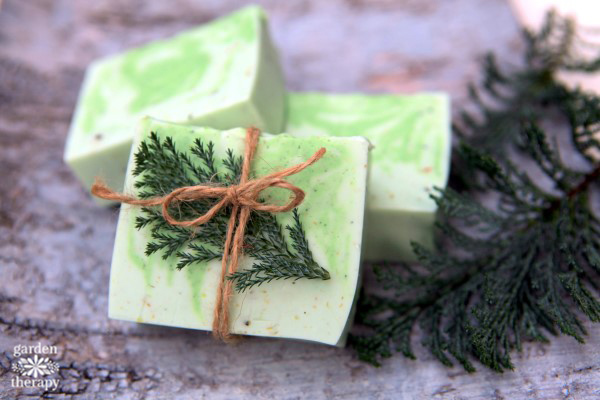 A sprig of evergreen or a branch of berries looks prettier than any pre-made bow I’ve ever seen. 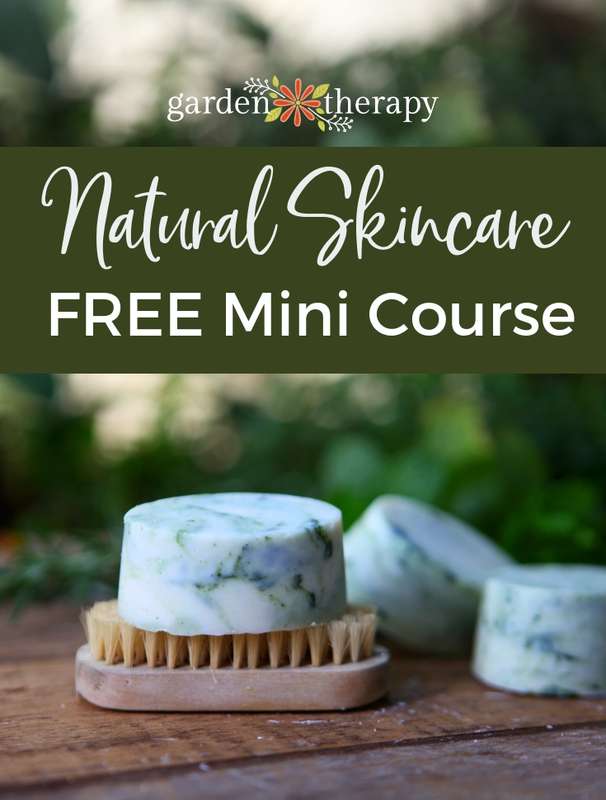 Get some pruners or sharp scissors, head out to the garden, and clip something green to tuck into the twine. 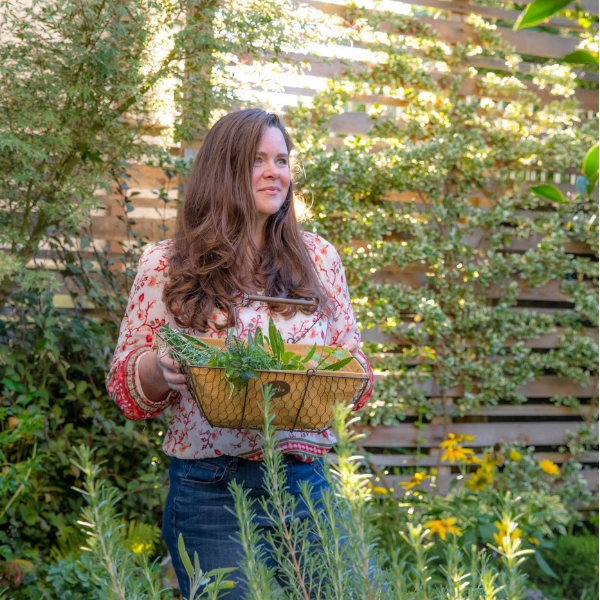 This post lists the best garden greenery for crafts and which ones to avoid. You probably already have a stash of cellophane wrap, gift bags, ribbons, and boxes that you can use for wrapping. They may not look brand-new, but I’m sure that’s the last thing on the mind of your giftee—they are getting a thoughtful gift from you afterall! I know I would greatly appreciate both the gift and the green gesture. If you’re reusing gift bags and boxes, you’ll also need to add a new gift tag. A clever way to make them is to use a tag punch to create gift tags from some of the cards you’ve received. Birthday cards, Christmas, or what have you, a tag punch will quickly make three to four new gift tags out of one previously enjoyed card. 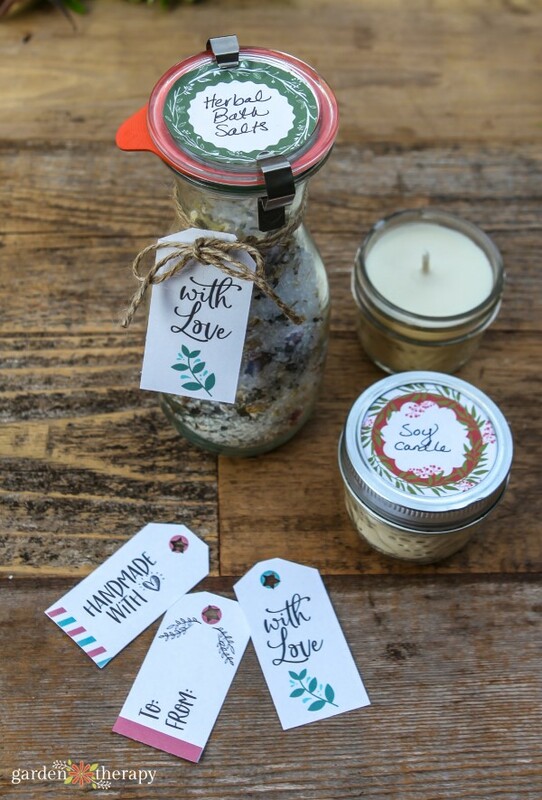 A set of letter stamps and some plain gift tags can be a pretty way to give the instructions on how to use your gift is. 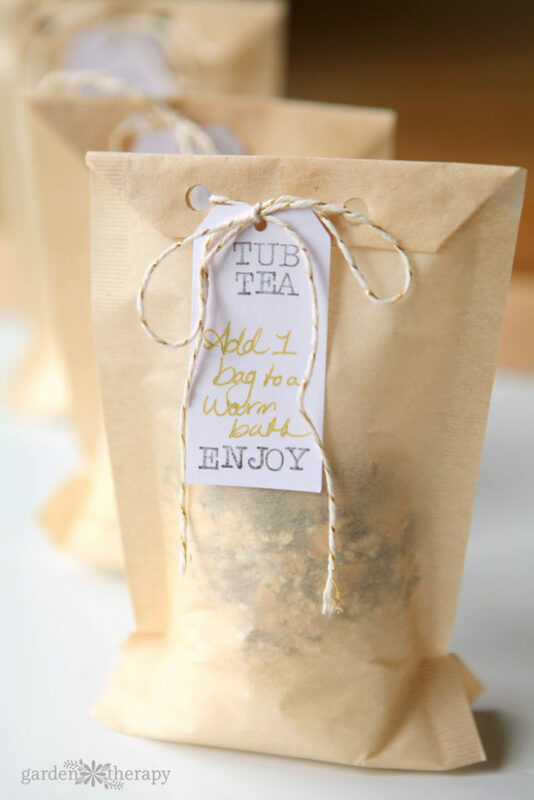 I did that for this tub tea project. 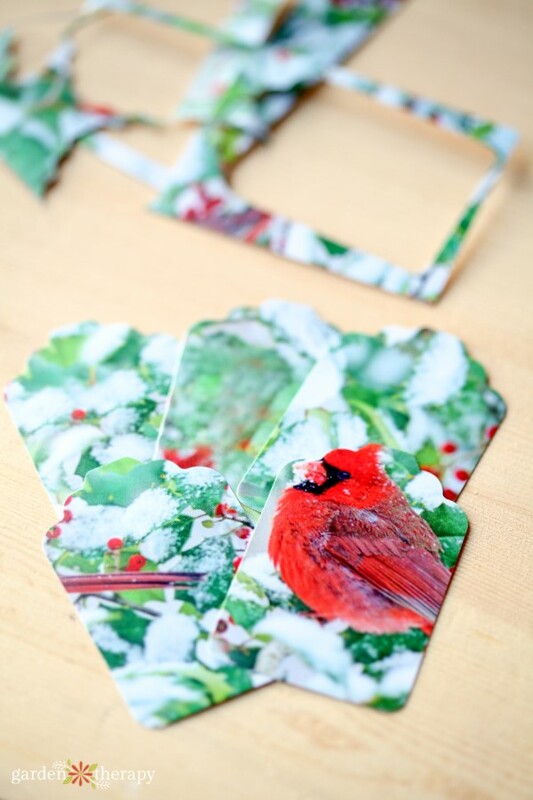 Grab some recycle paper and put it into your printer and make your own gift tags using pretty printable tags. Homemade gifts don’t come with instructions and some of the things you make might look so good but they might be a bit confusing as to what they are. Your handmade soap my looks so good that your friend thinks it’s fudge. It’s happened to me! Now I always add a label to let my pals know what they are getting (and save them from eating bath products). These round labels come in 2″ and 2.5″ diameter to fit the top of a regular mouth and wide-mouth canning jar, respectively. Print them on full sheet label paper and use a 2″ or 2.5″ craft punch to cut out perfect circles. Here are more instructions for how to print and cut out labels. 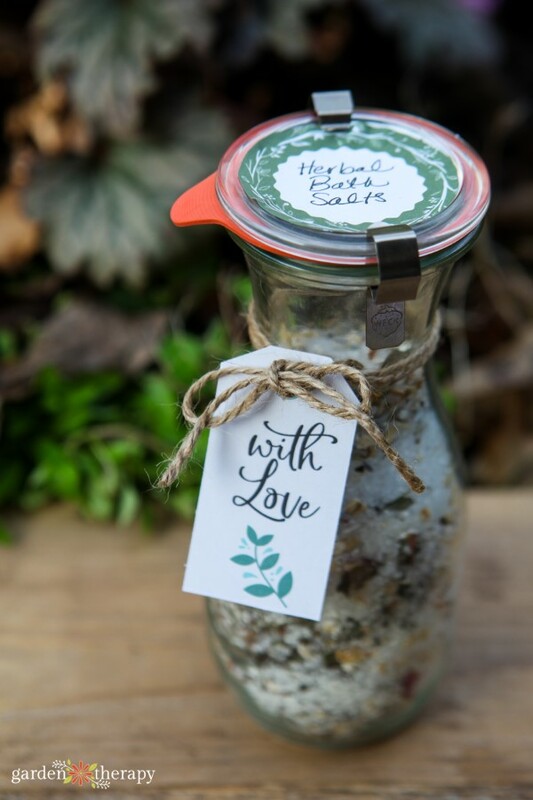 Who doesn’t love a gift in a beautiful glass jar? I collect Mason jars so every time I get a gift in a jar it’s like getting two gifts in one. 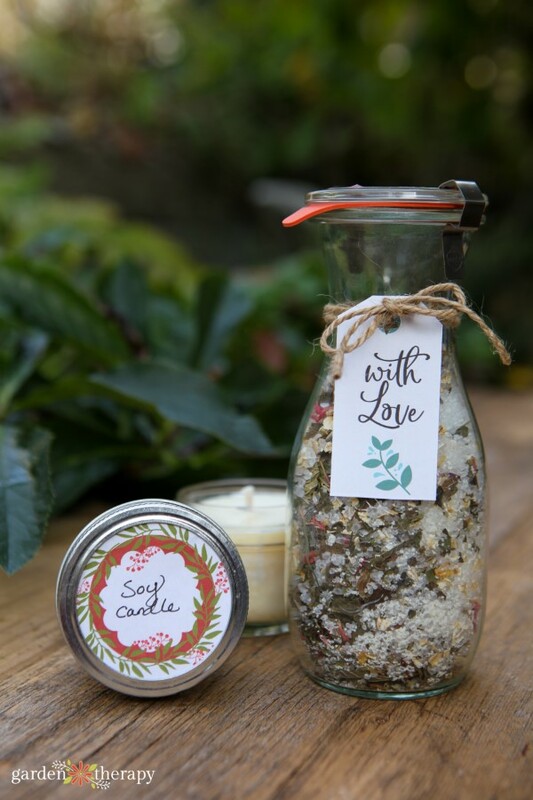 Need some gifts you can make in bulk? Jars are your friend! 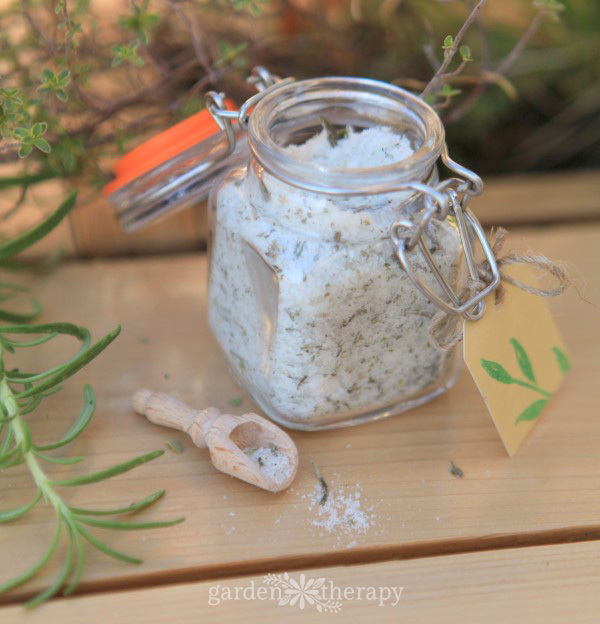 I made 30 of these teeny tiny herb finishing salts in miniature Kilner jars for an event. The wooden spoon was the perfect added touch too. 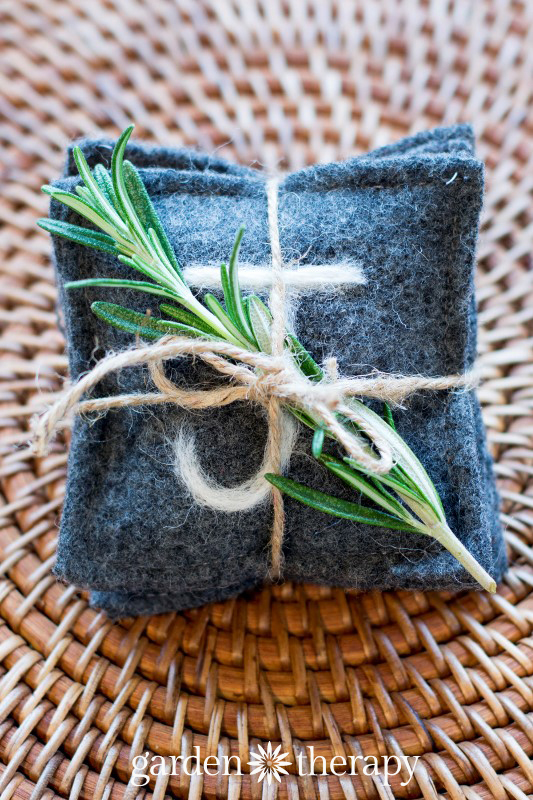 Consider wrapping your gift in textiles that become part of the gift. 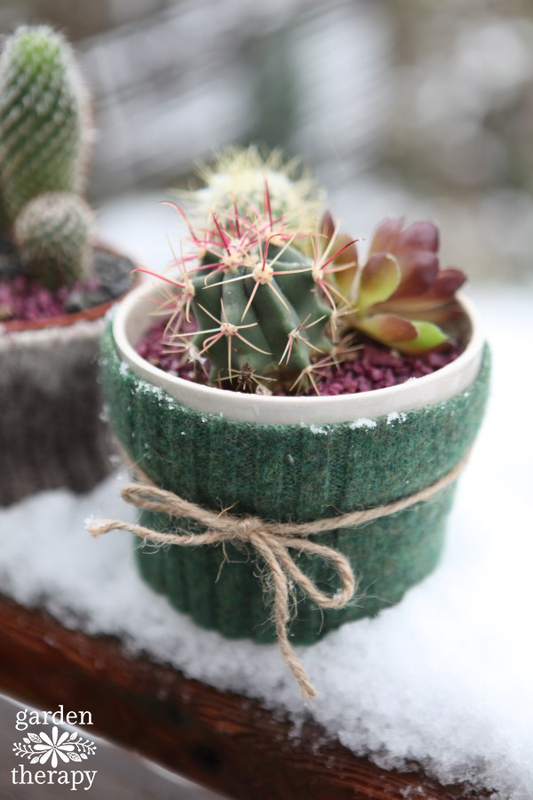 You could wrap home-baked goodies in a hand stamped napkin, use a knit washcloth to wrap handmade soap, or make a felted pot cover for a plant. Ok, so now you have a TON of natural and recycled gift wrap ideas, and you need something to go inside, amiright? I would be tickled if you would join me to make holiday gifts this year! 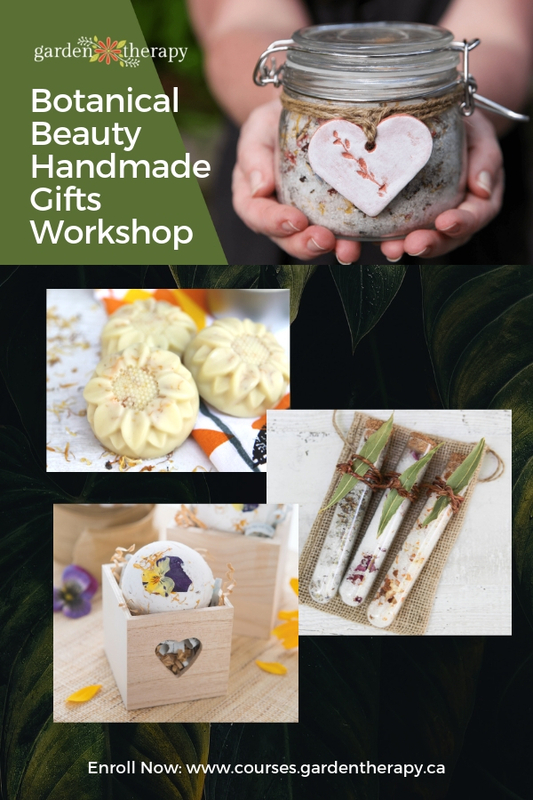 Head over to the Botanical Beauty Holiday Gifts Workshop where we’re crafting Botanical bath salts, tub teas, lotion bars, and bath bombs.